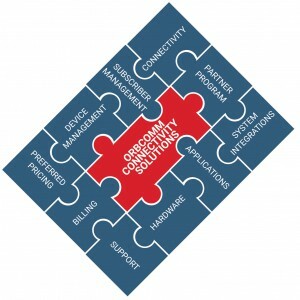 More than just connectivity, IoT solutions are often pieces of a complex puzzle made up of subscriber management, device management, application enablement, billing, support, hardware and much more. For companies looking to deploy solutions – whether in transportation, utility monitoring, heavy equipment, wireless services or other industries – procuring from multiple vendors becomes a complicated and expensive process. With additional barriers to entry including cost, technological limitations and lack of support, companies are faced with fragmentation that prevents or impedes the process, often resulting in ongoing unnecessary technical challenges and unexpected expenses. With many providers only offering one piece of the IoT stack, companies are increasingly looking for one-stop IoT shopping. Join us at Mobile World Congress to see how ORBCOMM enables complete IoT solutions with the broadest range of world-class connectivity through top-tier providers including Vodafone, leading edge devices and powerful applications for total asset visibility, remote control and analytical insight — all helping you deliver on the promise and potential of the IoT. Schedule a Meeting to speak with us and learn more about how ORBCOMM deploys and enables complete end-to-end IoT solutions.